The Liberal Chamber of Commerce will be hosting a series of forums for the Liberal City Commission candidates. These forums, co-sponsored by KSCB and the Leader and Times, will be held at the Rock Island Depot building, 4 Rock Island Road and the public is invited to attend. Forums will also be aired on KSCB 1270 am, streamed by the Leader and Times and will be available on youtube. The First Forum will be held on Monday, June 26, from 6:30 pm to 8:00 pm. Each candidate will be given time to share a bit about themselves, explain why they are running, what their goals are and what issues they want to address as a future city commissioner. by emailing [email protected] . Written questions may also be submitted by the live audience. 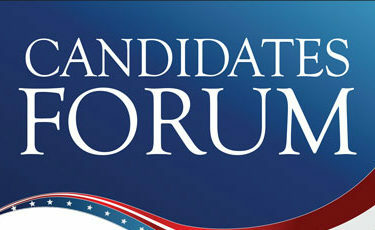 A Third Forum will be scheduled after the August 1 primary and will be announced at a later date.